I am terrible about reusing left over ingredients. I usually run by the store on my way home from work, mistake number one, so I don’t have a chance to glance over what I’ve got sitting in my fridge. So inevitably I end up throwing away loads of produce every month. I would hate to see what that equals out to monetarily. So after last week’s Fish and Chips Redux I challenged myself to utilize what I already had in the fridge. 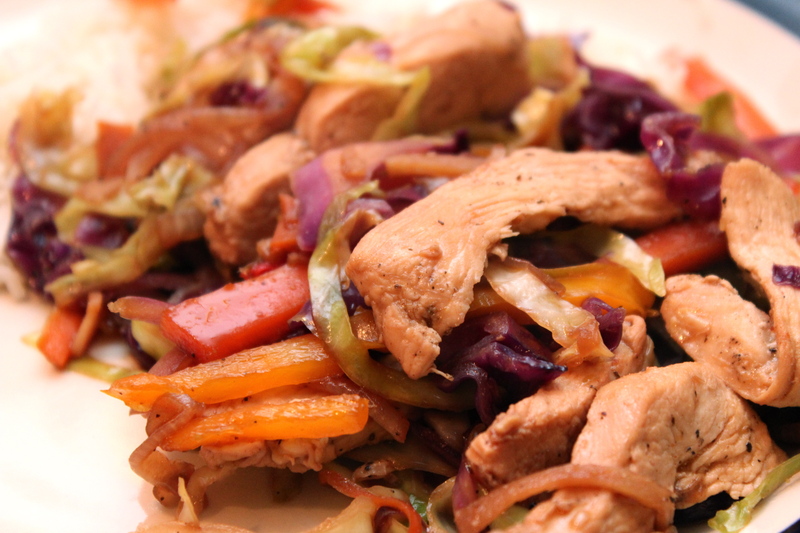 With a ton of veggies left over from a few other recipes I thought a stir-fry would be the perfect choice. Hence, the name, Everything but the Kitchen Sink. I literally grabbed everything I had, chopped it up and threw it in a wok. I wasn’t planning on documenting this recipe so the measurements and photos are a bit sparse. The point is, you can take whatever you have leftover and make a perfectly easy and healthy week night meal. Heat the oil in a large wok over high heat. Season the chicken with the salt, pepper, and cayenne and saute until almost cooked through. Remove and set aside. Add the onions and next 5 ingredients through the carrots. 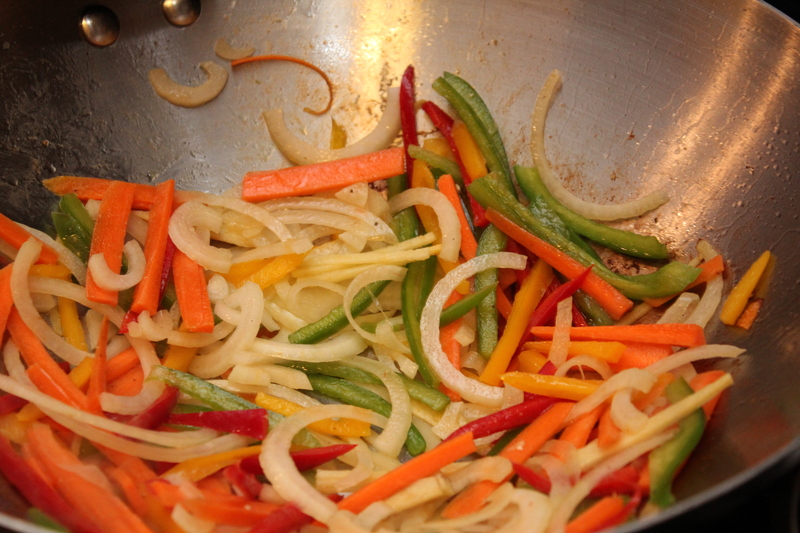 Saute until veggies are softened but with a bite. 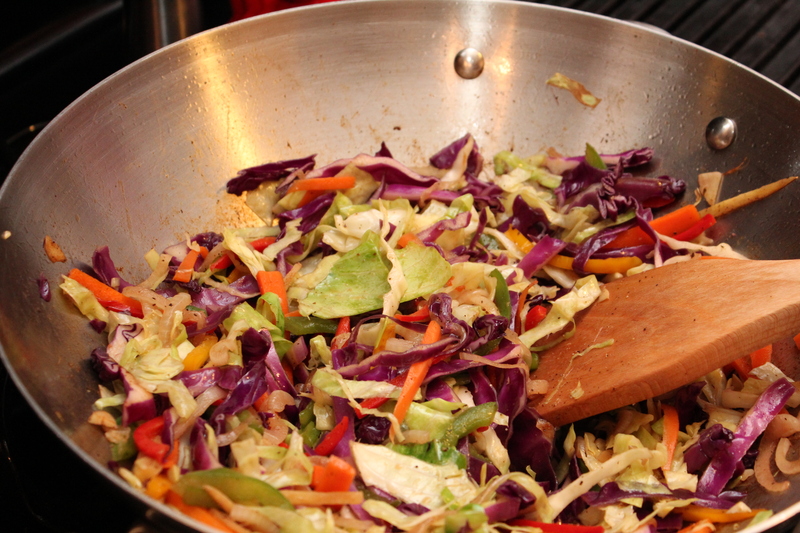 Add the cabbage and saute until wilted. Season with salt and pepper. In a small bowl whisk together the soy sauce and hoisin. Add the chicken and sauce and heat through. Serve with a side of basmati rice. 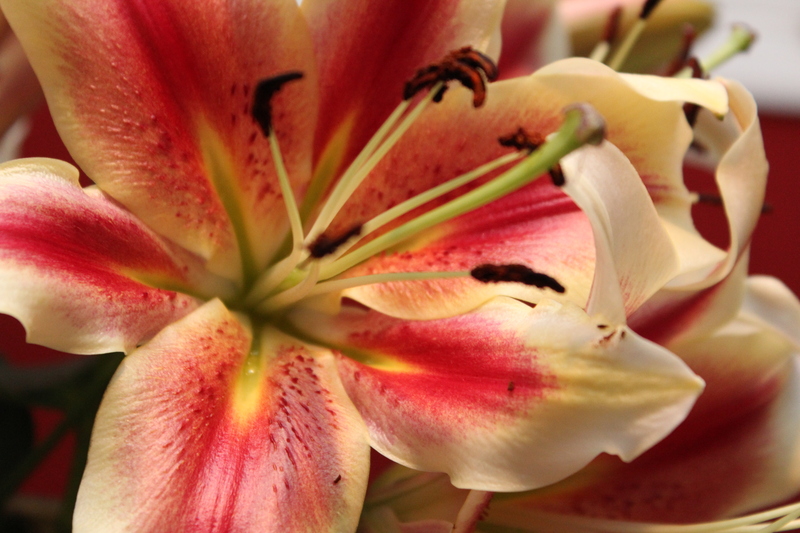 Check out my beautiful Lilies! Spring is quickly leaving us here in Texas so I’m buying up all the gorgeous flowers I can get! Ha yes…it’s coming right your way LOL 😉 Thank you!